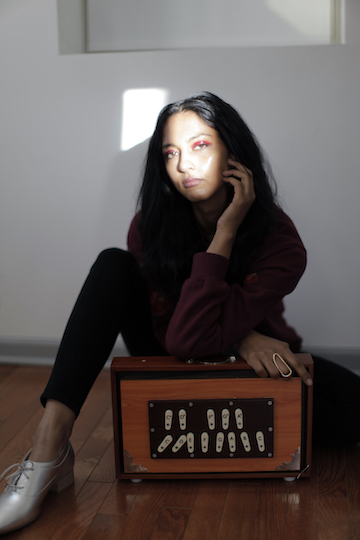 After hearing an unknown bird sing for years outside her grandmother's house in India, Lakshmi Ramgopal wonders about the importance of birdsong to how we think about memory and kinship in A Half-Light Chorus, her installation for Experimental Sound Studio’s Florasonic series. 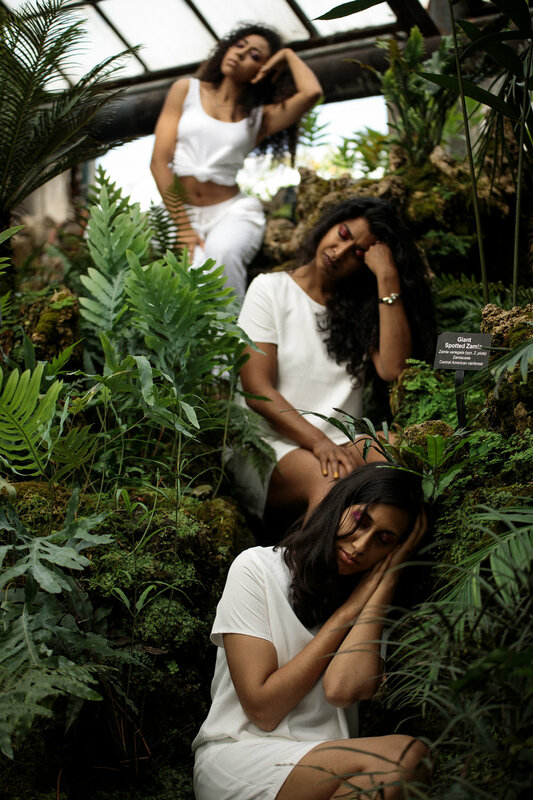 Set in the Fern Room of Chicago's Lincoln Park Conservatory, the installation features a ninety-minute, four-channel recording of vocalists imitating the calls of birds from India and in Sanskrit literature. Punctuated with original Tamil odes to individual birds, this shimmering tapestry of arias, whistles, clicks, and cries plays with the diurnal rhythms, forms, and functions of birdsong. 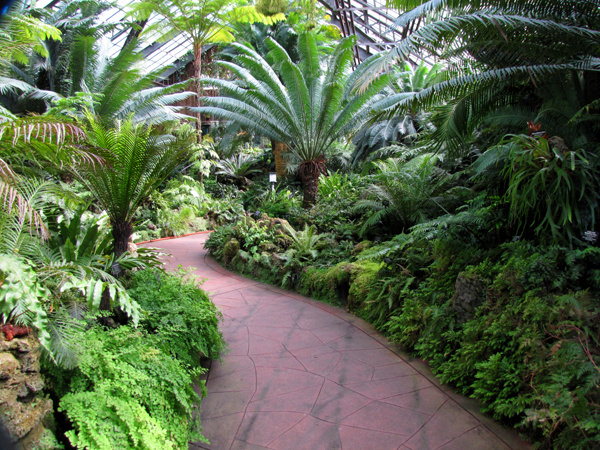 These sounds immerse the Fern Room's greenery in a cross section of India’s avian bioacoustics. The installation opens and closes with multidisciplinary ensemble performances that explore avian motifs and childhood with Ramgopal's new music and Bharatanatyam-inspired movement work, as well as her arrangements of songs from 90s Tamil and Hindi movies. 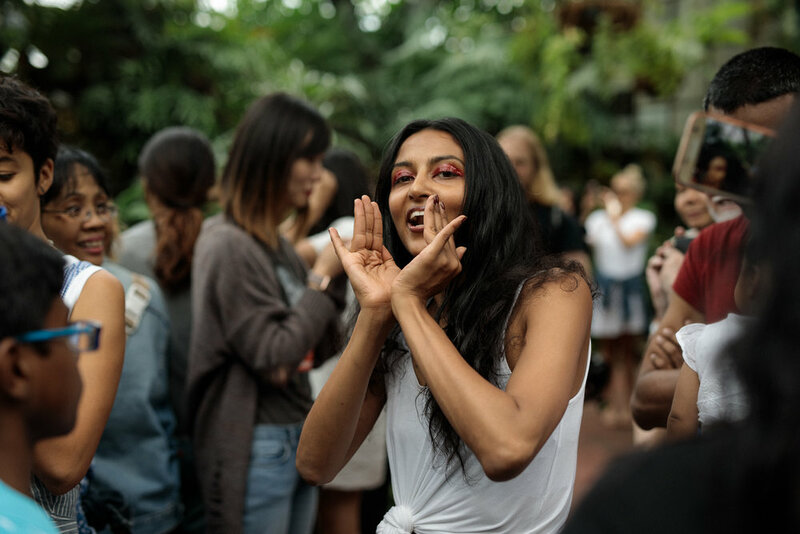 She will be joined by musicians and butoh and Bharatanatyam dancers and will invite the participation of audience members, who will sing and view spectrograms of the birds' calls. A Q+A will follow. A Half-Light Chorus is dedicated to Shakthi Ramgopal. The birds: Asian Koel, Jerdon's Nightjar, Indian Nightjar, Mottled Wood Owl, White-Throated Kingfisher, Jungle Myna, Pied Cuckoo, Puff-Throated Babbler, Black-Naped Oriole, Brown Fish Owl, Indian Peafowl, House Sparrow, Garuda, Large-Billed Crow, Purple Sunbird, Indian Pitta, Crimson-Fronted Barbet, Rose-Ringed Parakeet, Blue-Bearded Bee Eater, Tawny Eagle, Bar-Headed Goose, Little Egret. Special thanks to: Experimental Sound Studio, Chicago Park District and Lincoln Park Conservatory, Rachna Ramya Agrawal (Sumbhaav School of Kathak Dance), and Heather Lerner (Department of Biology, Earlham College).